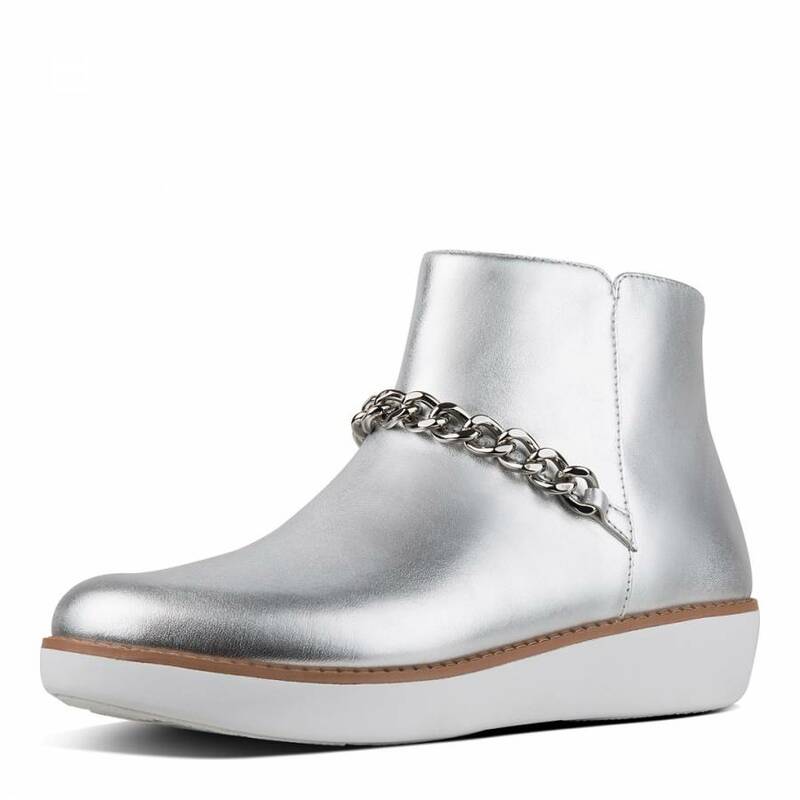 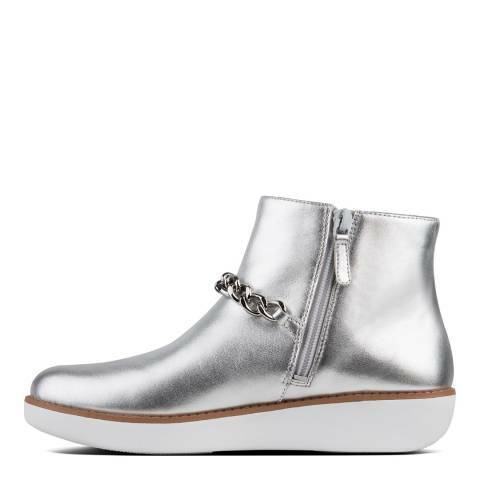 These chic zipped ankle boots are adorned with an eye-catching shiny, chunky chain and crafted from a soft metallic leather. 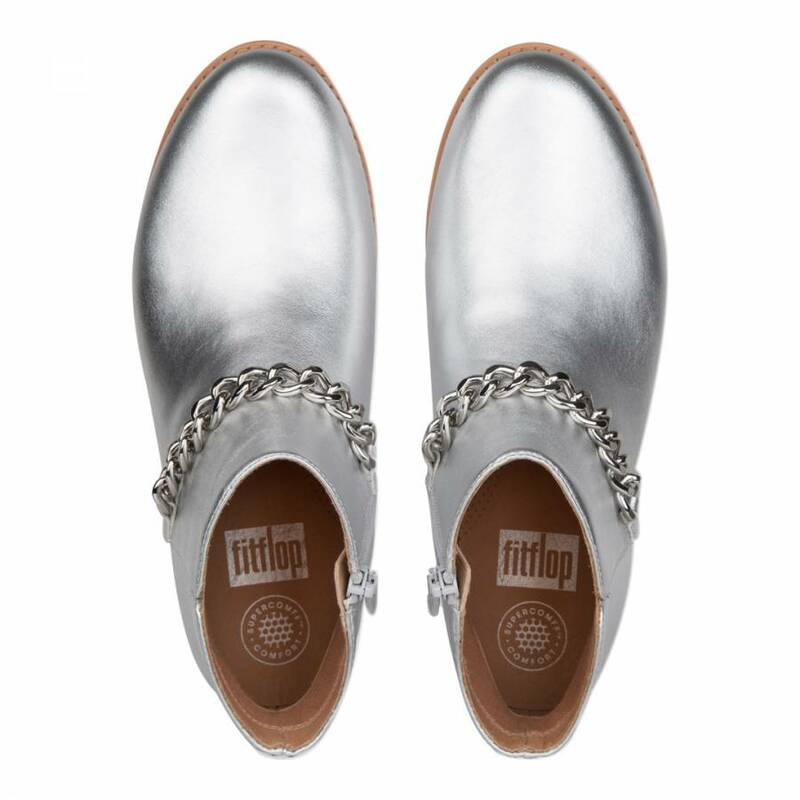 Features Fitflop signature SupercomFF midsoles technology with all-day cushioning, pressure diffusing for superb comfort. 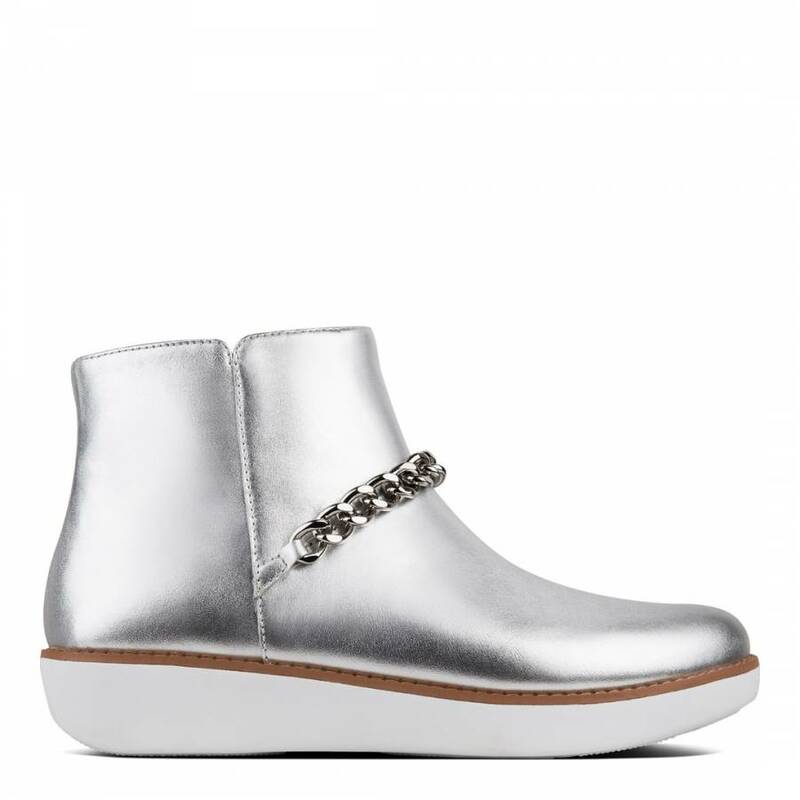 Features a lightweight chunky sole with hard wearing, slip resistant rubber pods.